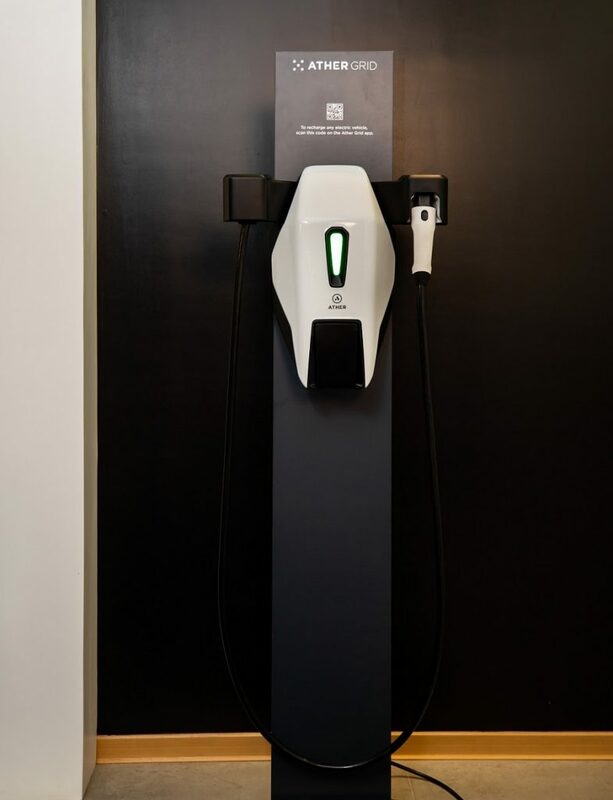 Ather Grid is the electric vehicle (EV) charging infrastructure network or EV charging point in Bangalore by an Indian Electric Vehicle startup Ather Energy, electric car or bike can be charged with Ather Grid’s dual AC and DC outputs. Launching Ather Grid is a smart move by the company because Ather is all set to start selling the much-awaited Ather S340 Electric Scooter in India, starting from Bangalore. Now, pollution and petroleum price are going sky high by each passing days and we desperately need these type of transportation solution to minimize the pollution and expenses on buying petrol or diesel. 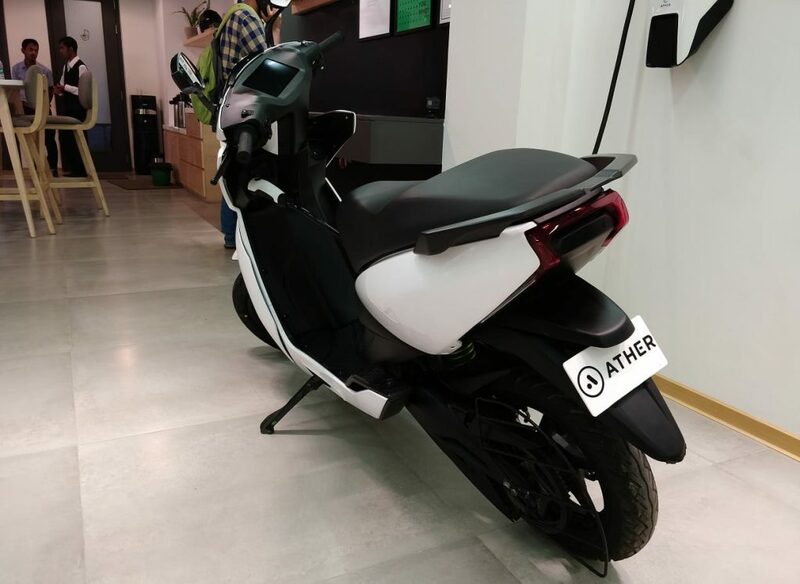 Ather Energy has not confirmed the exact date when they will start delivering the Ather S340 Electric Scooter to the buyers but the CEO and Co-founder Tarun Mehta said, they are all set to start the sale and most probably the sale will start by mid-June. 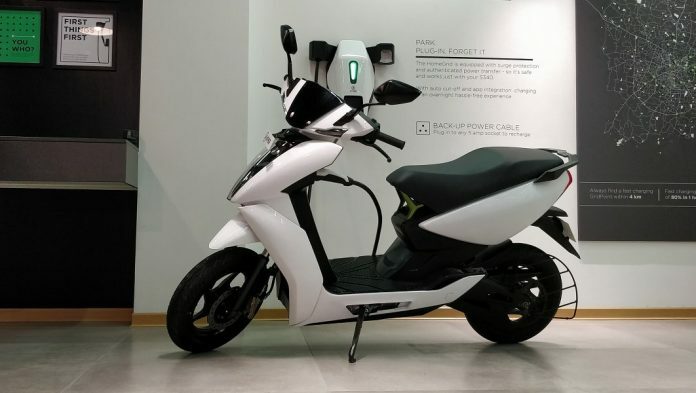 The government’s subsidy will play an important role in the price of Ather Electric Scooter S340 which will also be unveiled later after finalizing the sale date. The Ather Electric Scooter S340 will be able to run 60 KM with a top speed of 72 km/hr after one full charge. 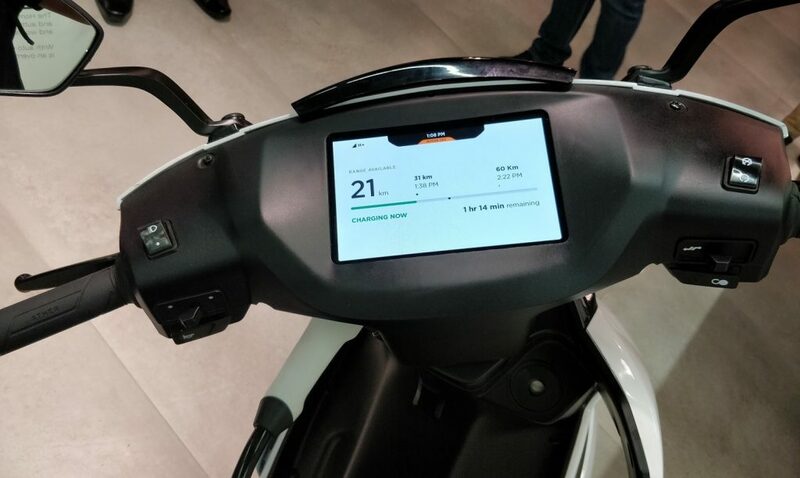 Ather S340 is the smart electric scooter equipped with the IP 67 rated Lithium-ion battery, SIM card connectivity, and IP 65 rated touchscreen dashboard. 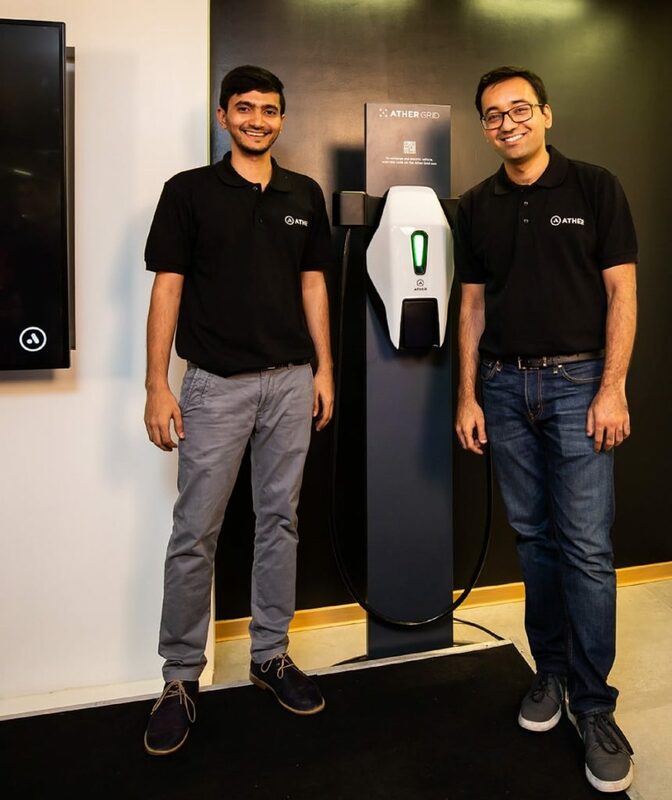 The company, backed by the founders of Flipkart, Tiger Global and Hero Motocorp has begun installations of the intelligent and connected charging stations across the city of Bangalore. 30 charging points will be set up by the end of May 2018. By the end of the year, 60 charging points will be available in Bangalore. With this, there will be a charging station within 4 km driving distance from any point in the city. This is the largest charging infrastructure effort in an Indian city. Buyers of the company’s smart electric scooter Ather S340 can also get it installed at their homes personal garage/parking spot but personal Ather Grid installation will not be available for the non-Ather users. 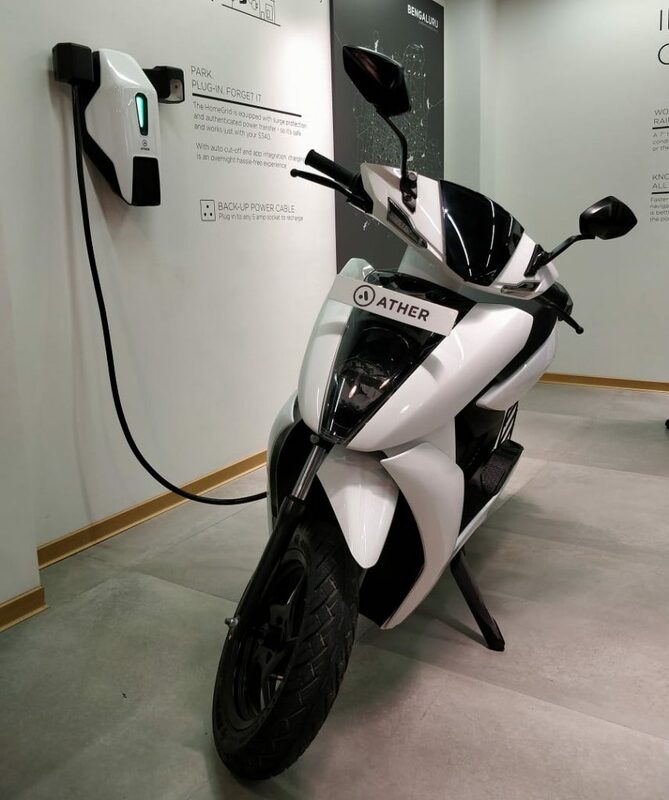 Ather Energy has installed and are installing company’s charging points called Ather Grid to most common and convenient places like malls, cafes, restaurants, tech parks, multiplexes and gyms, they have been selected to cater to both, four-wheelers and two-wheelers. For this, Ather has partnered with host locations, who have installed Points pro-bono at their premises to offer a convenient experience for all Electronic Vehicle owners in the city. Electronic Vehicle owners can locate and navigate the nearest Grid on the exclusive Ather Grid mobile app, Ather Energy is providing the 6 months free subscription to improve EV ownership experience and increase adoption. Whereas, Ather S340 scooter owners will get 12 months free access to Ather Grid charging points. The app also has options to remotely monitoring charge status and integrated payment options to upgrade or update the subscriptions. According to the company, Ather Grids have been designed and manufactured in India, keeping in mind the needs of the domestic power grids. Safety features ensure that electricity is drawn only when connected to a vehicle and protects vehicles from overcharging with auto power cut off. Electric vehicles will be protected from under voltage, overvoltage and overcurrent. And with an IP55 rated body, it is safe to use in any weather.